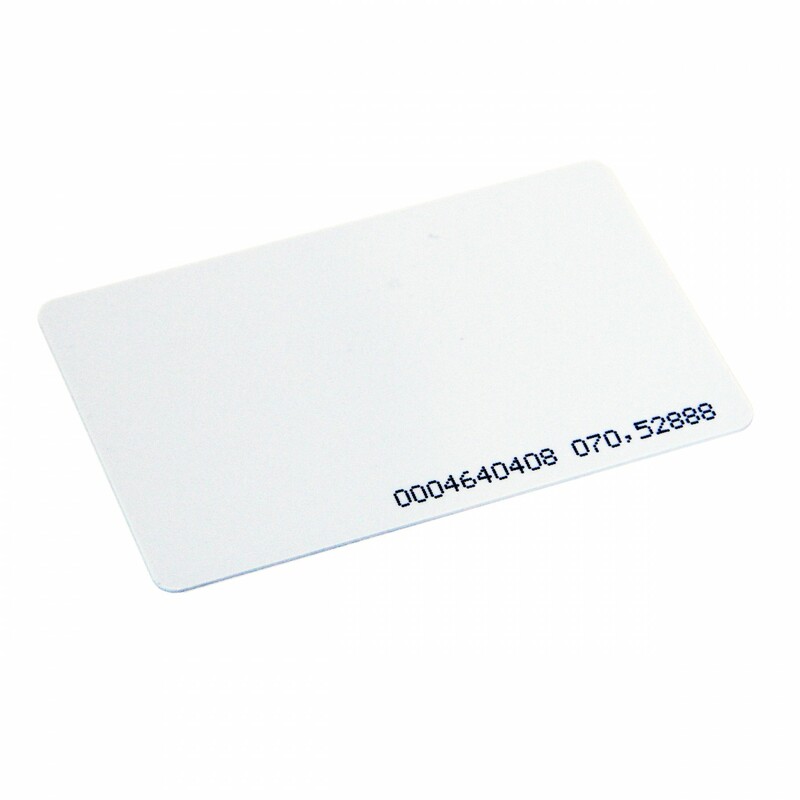 Our RFID Proximity Cards are robust and easy to use. They are standard 26bit format and smoothly integrate with most access control and time clock attendance systems. Priced right, we highly recommend this accessory as many of our customers find them extremely useful. Standard 26-bit format for easy integration. Pre-cut hole for easy attachment to badge holder. Robust card and convenient option. Compatible with our Fingerprint Time Clocks. Encyrption: Standard Wiegand 26-bit format. 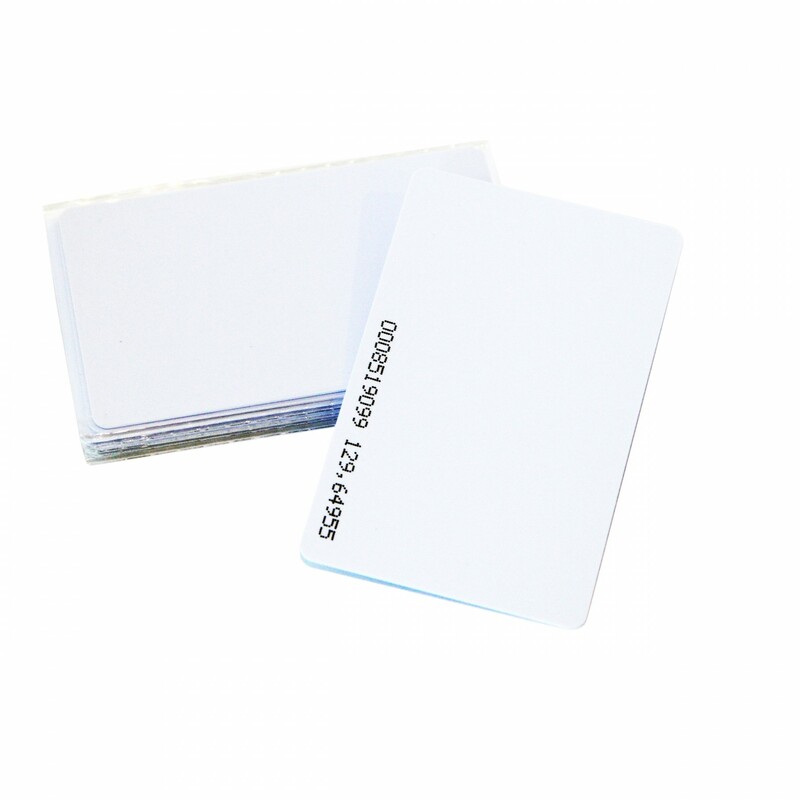 The cards work great, and for workers that have finger print issues, they are a good alternative. I think they are priced right, but, in our organization, I find that too many workers lose them and I have to constantly replace them, so I tend to try the finger print method first for new workers. 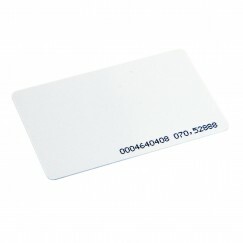 I purchased some RFID cards and this company was the only ones willing to sell the quantity I needed for the price I could budget. The cards ended up not being compatible with my system and even though I was past the return date, they still authorized a return. Ultimately I didn't return the product because cost and time was not really worth it because the initial product was so inexpensive to begin with. I thank them for their honesty and taking care of my business. Would definitely recommend for future business.